Our valances made the ceilings of this Lake Jeanette estate feel taller. 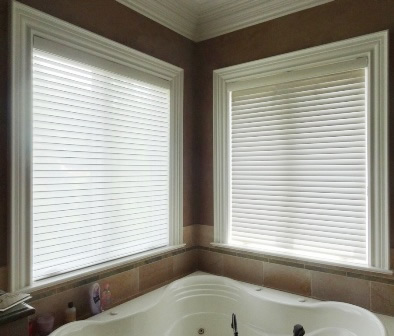 We provide options, such as roman shades, valances, blinds and more, to solve all your privacy needs. 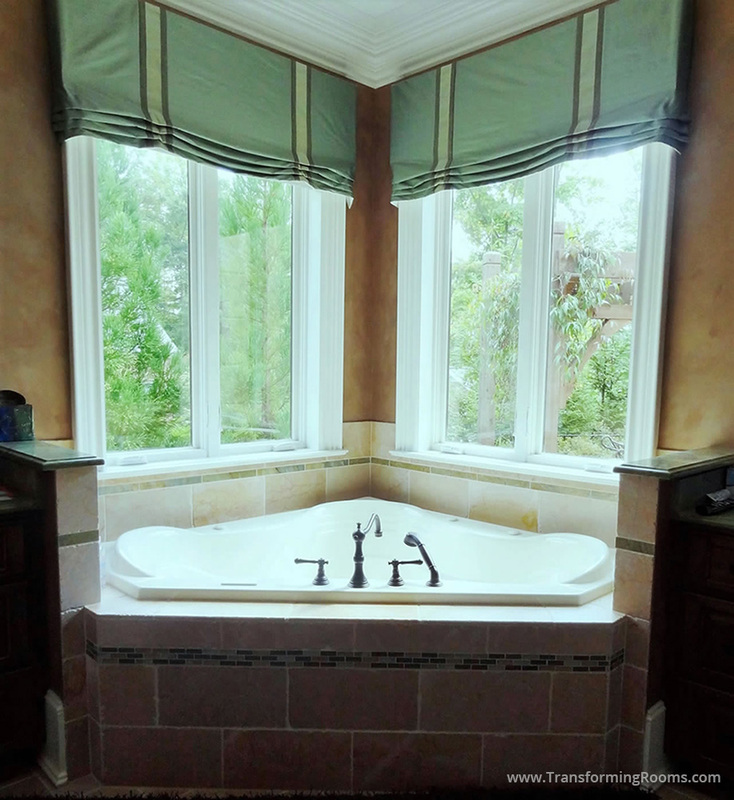 These valances are in a mock roman shade style, since top down bottom up shades solve all privacy needs. The "spa blue" color repeats the color in the tile along the bathtub.